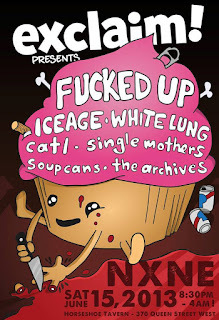 Hey I haven't seen the full line up or anything, but this is the best show at NXNE this year, no question. Hope you can make it, it will be packed and crazy. BRITISH PEOPLE - BRING US CHEESE.